Subject: Eligibility of Permanently Disabled Unmarried Son of a, CGHS Beneficiary to avail CGHS facility – Reg. The undersigned is directed to refer to this Ministry’s Office Memoranda of even number dated 31.05.2007, 29.08.2007 and. 02.08.2010 vide which the entitlement of the son of a CGHS beneficiary beyond the age of 25 years was conveyed. As per the two Office Memoranda under reference, it was indicated that an unmarried son of a CGHS beneficiary suffering from any permanent disability of any kind (physical or mental) will be entitled to CGHS facility even after attaining the age of 25 years. D. “Speech and Language disability” – permanent disability arising out of conditions such as Laryngectomy or aphasia affecting one or more components of speech and language due to organic or neuronal causes. (b) “Autism spectrum disorder” – a neuro-developmental disorder typically appearing in the first three years of life that significantly affects a person’s ability to communicate, understand. relationships and relate to others, and frequently associated with unusual or stereotypical rituals or behaviour. “Mental illness“- a substantial disorder of thinking, mood, perception, orientation or memory that grossly impairs judgement, behaviour, capacity to recognize reality or ability to meet the ordinary demands of life, but does not include retardation. 3. 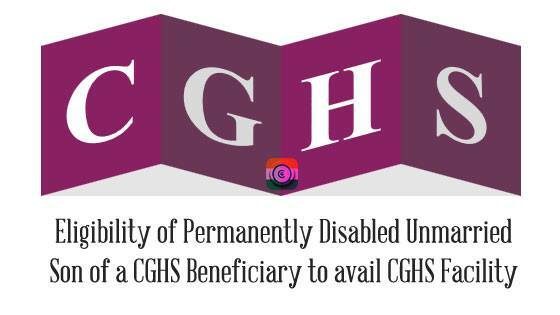 Bench Mark Disability– unmarried permanently disabled and financially dependent sons of CGHS beneficiaries suffering 40% or more of one or more-disabilities as certified by a Medical Board shall be eligible to avail CGHS facilities even after attaining the age of 25 years. 4. This OM will be effective from the date or its issue. Posting of Government employees who have differently abled dependents – reg.